Kauffman Foundation issues request for proposals to help scale and deepen the most promising programs that support entrepreneurs. We want the best entrepreneur support programs to succeed, and what we learn from the grant recipients will inform future Foundation projects, said Wendy Guillies, president and CEO of the Kauffman Foundation. The Ewing Marion Kauffman Foundation today announced plans to award grants totaling up to $2 million to nonprofit organizations that help entrepreneurs navigate their most pressing challenges. The goal is to invest in the expansion of exemplary programs to maximize the Foundation’s impact on entrepreneurial success. During the past several decades, many kinds of institutions and organizations have emerged to support firm formation and growth. The Foundation invites proposals from organizations that have successfully helped entrepreneurs learn about and address the key challenges associated with launching and developing businesses. Organizations serving entrepreneurs in any sector, demographic group or stage of business may submit applications for funding. In addition to helping successful programs expand, the Foundation is interested in developing a better understanding of what makes such programs effective. The Foundation will accept proposals from July 8 – July 31 and expects to make the grant announcements later in the summer. Organizations can submit proposals by email to entrepreneurshipRFP(at)kauffman(dot)org. 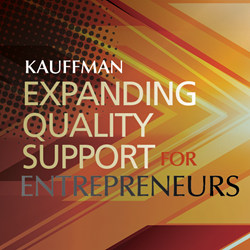 More information about the call for proposals is available at http://www.kauffman.org/entrepreneurshipRFP.